« A drunk for President of the EU Commission? On 28th June it will be 100 years since the assassination in Sarajevo of Franz Ferdinand, heir to throne of the Austro-Hungarian Empire and the onset of World War 1. The maps of Europe changed drastically before and after the War from 1914 to 1920 and this is a an excellent yet simple presentation of the changes. But it is worth noting that squabbling in Europe was going on long before WW1 and still continues today with the Balkans having recently redrawn their maps. And maps will continue changing, as in the Crimea and now perhaps also with Scotland breaking away from the United Kingdom. 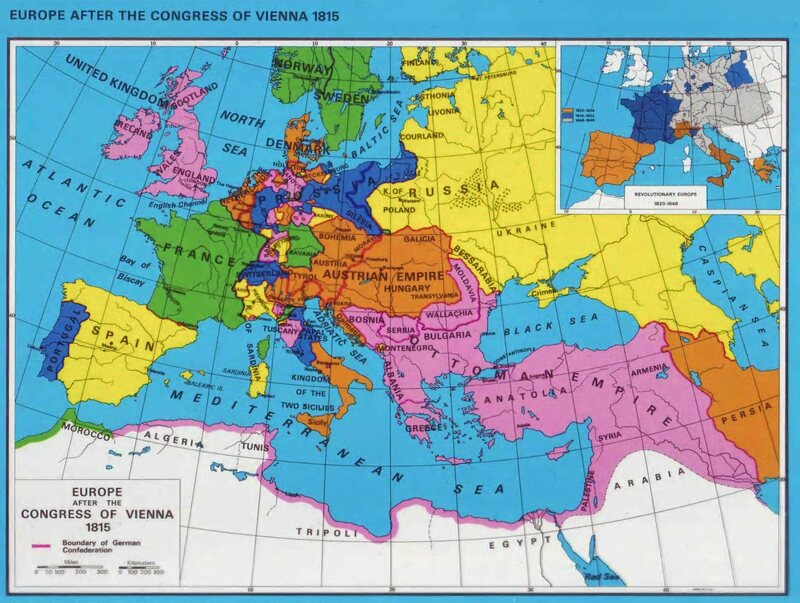 But it is not so long ago that the map of Europe looked completely different. After Napoleon’s defeat at Waterloo in 1815 the Congress of Vienna redrew the map of Europe. And now, 200 years later the map of Europe is still changing. This map by Omniatlas is up to date as of March 2014. This entry was posted on June 23, 2014 at 7:19 am and is filed under 1st World War, Cartography, Europe. You can follow any responses to this entry through the RSS 2.0 feed. Both comments and pings are currently closed.